Additional narrative notes are also provided (see below). Having read the Legendary Ten Seconds characterized as a folk band, I wasn’t sure what to expect when I received their third CD to review, though I was intrigued with the concept album format whereby all the songs map out historical events. More precisely, they detail a specific series of events pertaining to a key figure: Richard III. 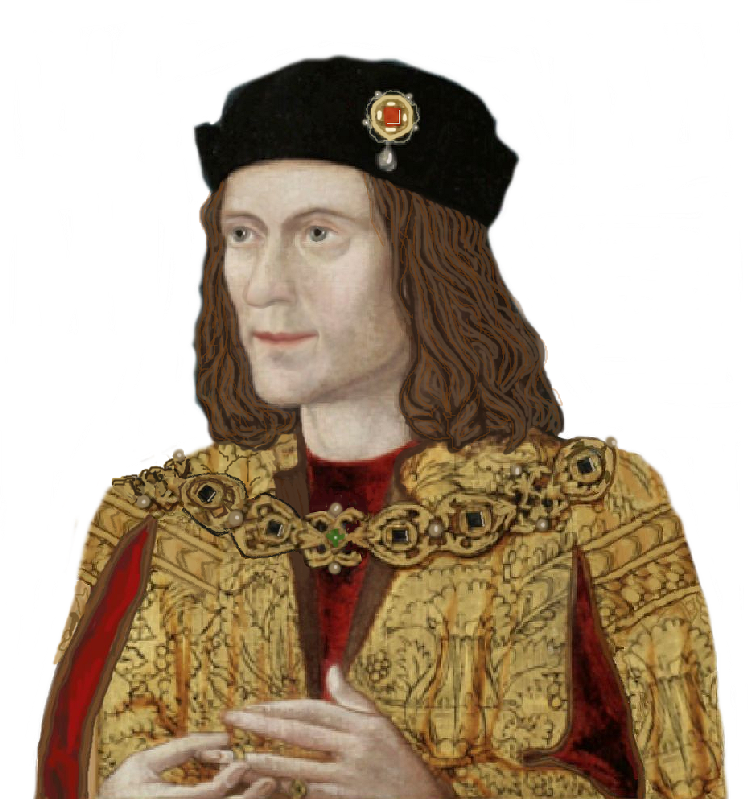 This release, aptly titled Richard III, highlights instrumental periods in the monarch’s life, through melodic tunes reminiscent of medieval music itself. Listeners will recognize certain moments in which the band pays homage to their medieval forebears, with particular use of mandola notes, bells, organs and other instruments. However, there is balance with a modern sensibility, so while the music is identifiable as medieval-inspired folk, this is neither the monophonically-textured sound we tend to associate with the Middle Ages, nor stereotypical folk often heard mainly at summer forest fairs. What it does present is much of the heritage—our own—that we are taught about as children and will recognize in themes of truth and loyalty, pastoral poetry and the timeless desire to be remembered. It is all presented here so engagingly that even those who might tend toward reluctance will find themselves drawn in, for the music as well as the history it recounts. “Sheriff Hutton,” the album’s first song, opens with an immediate sense of storytelling, as if the music itself is performing the gesticulations of one about to move forward into a verbal narrative. It is the perfect song to open the collection owing to this musical smoothing out of one’s apparel as well as the lyrics themselves, which tell of discovery as the speaker describes what he experiences upon visiting three sites: Sheriff Hutton, where as Duke of Gloucester Richard stayed, given its proximity to the north; Middleham Castle, the setting of his formative years and where his beloved son, Edward, was born and tragically dies too young; and Bosworth Field, site of the battle where Richard loses his life and the Plantagenet dynasty comes to an end. The song itself encapsulates the story of Richard’s later life as the singer takes us forward in time to “one fateful day,” having already experienced the sense of loneliness and brokenness that permeate the sites, and mindful of Richard’s own experiences when he himself stayed there. There is a newness to this start of the CD, yet also a wistfulness, perhaps undetectable to some unfamiliar with the life and times of Richard III. However, the musical arrangement is such that it acts also like a sort of foreshadowing, for once familiarized, these listeners will be able to detect the melancholy, recognizing it the way readers realize they do clues in a story, leading them to the often typical train of thought that commences with, “What if…?” This is paired with opening to the aftereffects of a tragedy as the album then takes listeners back in time to “see” the events that lead to this moment. With the singer, or storyteller, we embark on a journey from a time when the infant Richard is noted in the “Clare Roll,” a poem documenting the armorial history of the prominent Clare family, the earls of whom Richard, Duke of York is descended; the second song’s title is drawn from his son’s mention within. Noting Shakespearean word order within one line, the song also foreshadows the playwright’s role in Richard’s posthumous reputation, and another depicts a scene from Shakespeare’s Richard III, with several vocalists taking up the roles of different characters as they discuss Edward V’s coronation date. While it may seem a curious choice to base a Ricardian song upon, it sets the stage for Richard’s coming rule while also highlighting a central Shakespearean reconstruction re: the alleged withered arm. While we now know that Richard III suffered from scoliosis, the useless arm is a fabrication. Male and female vocalists appear on the various tracks and they are used to great effect—to play different roles, for example, as mentioned above; in duets, sometimes partner, others as counterpoint; and perhaps to change up the sound “appearance,” though this is carefully considered as their voices and particular and varying uses of them match the individual pieces of narrative so well one might be forgiven for believing each track was written specifically for those particular voices. Following is a transitional tune, one that could be told from Richard’s perspective, that of a soldier, or even both, in parts. Sung with alternating solos and Dylanesque duets (think “Mozambique” or the even smoother “One More Cup of Coffee”), it is a brilliant approach to take given there, of course, would be many expressing the sentiments within, but also to magnify the reality that Richard himself may have struggled with his decision to go to war. There are plenty of pros and cons, and the loneliness of the tune is mindful of what the monarch may feel in these moments, lost as Edward and, now, Queen Anne are to him. Still, he retains his book of hours and it could be he finds solace in prayer, remaining in low spirits but not remotely near to, as some have suggested, a death wish. The tune ends with a rather rapid fadeout, akin to a musical ellipses, mirroring acknowledgment of the terrible realities of war and remembrance. This is a wonderfully evocative account of the life of Richard III, one that will draw listeners again and again. The Legendary Ten Seconds was originally a solo music project of Ian Churchward who has played guitar in various bands after starting to play the guitar in 1979. Ian’s first band was called Chapter 29 and after this band split up in 1986 he started a new indie pop band called The Morrisons later that year. This band released a flexi disc which was played on the John Peel show on BBC Radio One in 1987. From the late 1990’s until about 2007 Ian also played in a Ceilidh band called Storm Force Ten which then became a new band called Phoenix. Richard III is the third album from The Legendary Ten Seconds. You can learn more about Ian Churchward and The Legendary Ten Seconds and their music at Facebook, CD Baby, a blog dedicated to The Richard 3rd Projects and Twitter. On Tant le desiree the narratives are written and read by author Sandra Heath Wilson. They are fictional and read from the point of view of Richard III’s mother, Cecily Neville. On Richard III the narratives are historical and factual. These Richard III narratives are written, read and recorded by Matthew Lewis and provide information about Richard III. The reviewer was provided with a copy of Richard III in order to provide an honest review. This review previously appeared at Before the Second Sleep. My Ricardian Bulletin arrived this morning with a very kind nice review of The Wars of the Roses to brighten my Saturday morning. There are a glut of articles saturating the press at the moment posing some pretty unpleasant questions about Richard III. Maybe it’s time for some answers. We are constantly asked why we are celebrating a child-killing tyrant, or what Richard III ever did for us. Sadly many of the articles cannot answer their own questions because their content demonstrates such a fundamental lack of understanding of the real issues.